SAGE is dedicated to developing textbooks that support students’ learning as well as lecturers’ teaching and are proud to publish a wide range of textbooks and handbooks by leading authors writing at every level; from core introductory texts for first year university students, through to more specialized texts for higher-level students and professionals. 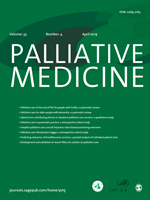 We also publish over 100 highly-read and cited journals (to support academics, students and researchers) in the health and nursing discipline, including such respected titles as the Journal of Family Nursing, Journal of Research in Nursing, the Journal of School Nursing and the European Journal of Cardiovascular Nursing. Bookmark this page, and visit us again, to stay up-to-date with new books and latest research in your area of interest, as well as find out more about our authors and activities in the field of Nursing. 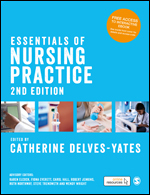 A comprehensive overview of holistic, person-centred nursing practice, brought together by 8 editors, 37 contributors, 18 patients, 13 practitioners and 15 student nurses. Nordic Journal of Nursing Research communicates knowledge about nursing, nursing research and development as a means of raising the standard and quality of nursing. 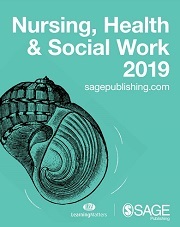 The journal targets nurses engaged in research, management, education, nurses in clinical practice and persons interested in development and research within nursing. The 2019 Catalogue is now live! An ethnographic study in two UK regions examining nurses’ decisions, aims and concerns when using anticipatory medications.